BRIGHT CORNER UNIT WITH S/E VIEWS AT HURON POINT IN RIVER NORTH. IN UNIT LAUNDRY, DISHWASHER, BALCONY, SPLIT BEDROOMS, OPEN KITCHEN WITH STAINLESS STEEL APP AND GRANITE COUNTERS. 2 HEATED GARAGE SPOTS(1 DEEDED INCLUDED IN PRICE & 1 SPOT CAN BE RENTED). NO WEIGHT RESTRICTIONS FOR DOGS. STORAGE LOCKER AND AMAZING ROOFTOP DECK A PLUS. 421 W Huron #705 Chicago, Illinois 60610 is a condo property, which sold for $388,500. 421 W Huron #705 has 2 bedroom(s) and 2 bath(s). 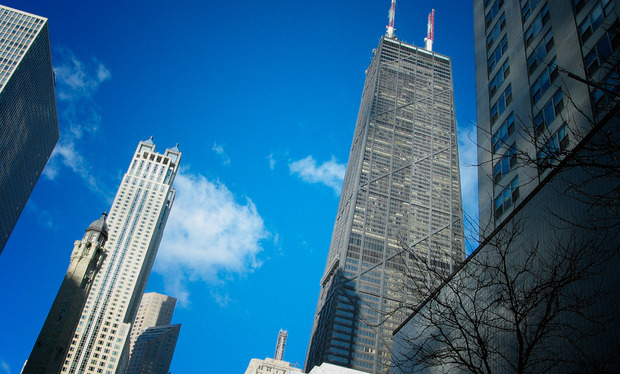 Want to learn more about 421 W Huron #705 Chicago, Illinois 60610? Contact an @properties agent to request more info.